Hey everyone! For those that don’t know me I’m Michael S. Novilla, native, resident and business owner in St. Petersburg, Florida, aka St. Pete. We LOVE our city and have a strong, vibrant arts community. So as these fabulous murals, aka wall graffiti, or graffiti, kept springing up, I thought we need a tour of these awesome murals. So one evening in 2014 I took my weekly business social club, the Entrepreneur Social Club out on a fieldtrip. 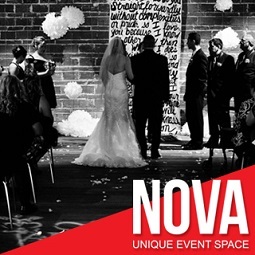 We most always meet at historic venue NOVA 535 on Thursday nights, but as NOVA’s grown in popularity, well we only have so many days on the calendar to rent the venue out. So we meet downtown at Sheri’s Enchanted Forest Photography (now in a new location, funny enough, right next to NOVA) St. Pete Mural Tour. I mean how cool is that to have a place that visitors and residents alike can come to see, visit, discuss and encourage this beautiful artform. Come and explore with us! Looking for unique, local personalities, places and things to do right here in beautiful Downtown St. Pete? Visit DowntownSTPETE.com where we feature ONLY the nest of what the locals know, the 5-Star places to go, delightful events to see and the unique personalities behind it all. Join our growing community!